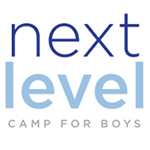 The Next Level NY Campus is located at Ursuline School in New Rochelle, NY. The school is located in the heart of Scarsdale, Larchmont, Mamaroneck and Pelham. Our athletic programs use a state-of-the-art turf field, air conditioned gymnasium, and 3 outdoor tennis courts. Our GEMS and art programs are housed in a fully equipped art center, which includes 3 art rooms, a darkroom and dance studio. The Next Level CT Campus is located at St. Joseph’s HS in Trumbull, CT. The school is within a few minutes of Fairfield, Westport, Easton, Milford and more. Our athletic programs use several state-of-the-art turf and grass fields, gymnasium, health and welness center and 6 outdoor tennis courts. Our STEM, enrichment and art programs are housed in a fully equipped O’Keefe Media Center and air conditioned classrooms.